I arrived in Japan knowing very little regarding the Keigo (Japanese respect language and manner. After my first few weeks here, I had several lessons at my language school regarding the basics of Keigo and how business is conducted in Japan. Originally, I was shocked on the levels of Keigo used as it varies between the social status of the people, levels start from respectful, humble and to polite. I found it difficult at first to determine which version of the Keigo to use when talking to specific people however after my classes and importantly my internship I have a better knowledge at Keigo through experience. Although my Japanese isn’t fluent enough to put together long sentences however I could pick up specific words that I could understand therefore I could understand the situation a little. For example, the business between my company and other companies were formal at the highest level as it was a first meeting between them and it was expected. The exchange of business cards followed straight after the polite greetings, for me it was a brand-new experience of exchanging business cards as it is not common elsewhere but Japan. I learnt during my time in the internship that the exchange of business cards is very important to your own personal image as well as representing your company’s, because without the exchange of business cards you will not be able to conduct business with the Japanese. On the other hand, I was also delighted to help with some translation work during my internship for an event regarding the promotion of Japanese Sake and Shochu to the European market. I participated in some roleplay where a demonstration of the event took place in the office, I assumed the role of the guest who doesn’t speak or understand Japanese, I had to listen to what the translator translated to me to see If I could understand what they said and vice versa. 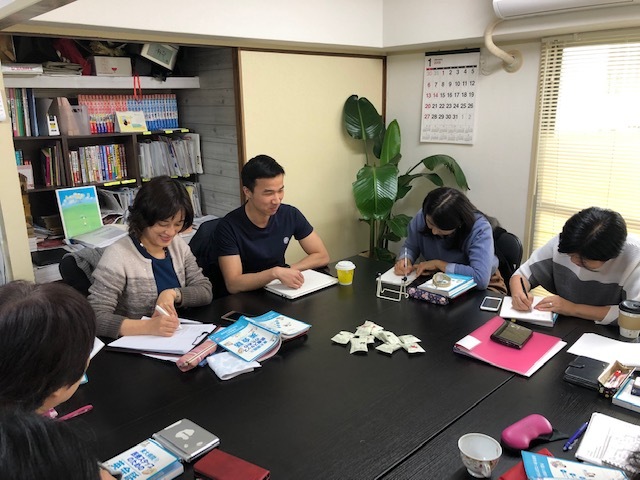 It was a good experience as I shared my own knowledge being a native English speaker to the translators on what they can improve on and the specific word choices to make it more natural. Nevertheless, I was fortunate enough to take part in the actual event a week later and I helped with the translation devices during the event. Even though my stay is quite a short one, I have experienced some situations that I would never have done at home e.g. the exchange of business cards. I have learnt a lot during my short stay and I would like to thank Mizu-Trans for giving me a short but wonderful stay and the opportunity of an internship, I wish them all the best in the future. 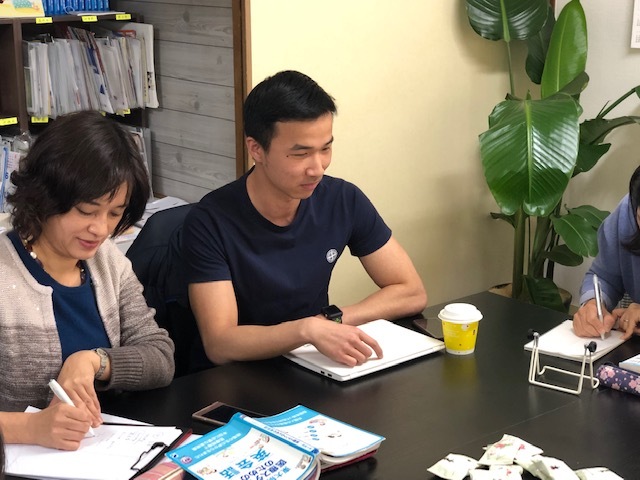 2019/1/12 技術通訳者育成講座のご案内　Technical Interpreters’ Training Class! 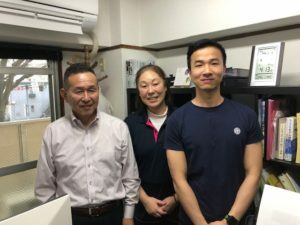 Copyright © 2019 みずトランスコーポレーション[通訳・翻訳、英語圏向け 日本旅行コーディネート] (福岡) HP All rights Reserved.